New ON1 Photo RAW 2019.1 puts the primary photo editing needs for photographers under one roof, keeping the workflow elegant and powerful, yet simple. Photo RAW 2019.1 includes significant updates to both performance and image quality, significant new features like non-destructive layers integration, new layered file features including auto-alignment and focus stacking, a new portrait tab, a new text tool, new digital asset management updates, and new supported cameras and lenses. 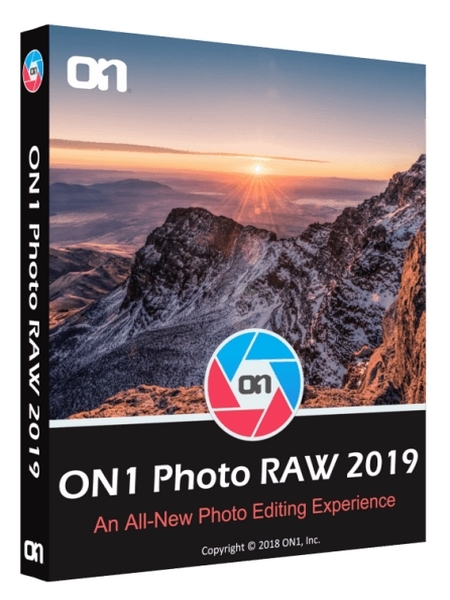 ON1 Photo RAW 2019.1 includes the professional tools photographers need to get professional results. All in a single well thought out photography workflow application. The new Edit module combines Develop, Effects, Portrait (NEW), and Local Adjustments into tabs to allow customers to seamlessly move between each edit.